How Is Big Data Revolutionizing The HealthCare System? The world of today contains exceptionally large amounts of digital information used to create, analyze and improve things that could never have been imagined before. Healthcare informatics – the process of gathering big data in the form of electronic health records (EHRs) of millions of patients – has led to miraculous discoveries and improvements, such as the Human Genome Project. Biomedical informatics (BMI) is used interchangeably with the term healthcare informatics. The microscopic atoms and cells that form organs. 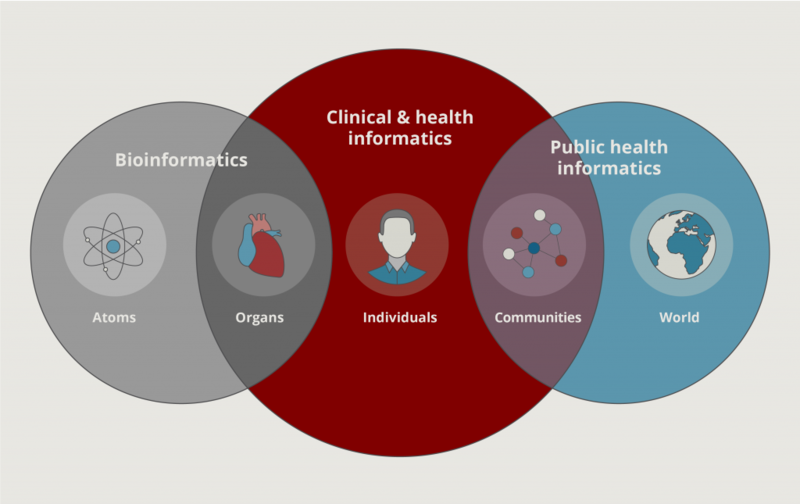 The organs coming together to form a body of an individual who is the subject of clinical and healthcare informatics. The individual as part of a community within the world which is a focus of public and global healthcare informatics. Using biomedical informatics or, more simply, using patient’s healthcare information to make better future decisions is not a groundbreaking and recent discovery, but rather has been used since ancient civilizations. Healers have used medical data in the form of patient’s vital signs like body temperature, heart rate and pulse rate to inform their diagnosis and treatment for many years. Biomedical informatics simply takes this to a greater level by using computer science to utilize medical data that has been captured using healthcare information technology. What kind of data is captured? An EHR is the collection of this information in a comprehensive and readable way so a patient’s health information is easily accessible. This information is then shared with other healthcare professionals ensuring it’s accessible to any healthcare practitioner regardless of the time or location. Fitbit is in and Rolex is out. If you look at the wrists of a group of individuals in a room, it’s likely more than half will be sporting a wireless-enabled activity tracker, or have an app on their phone with the same function. 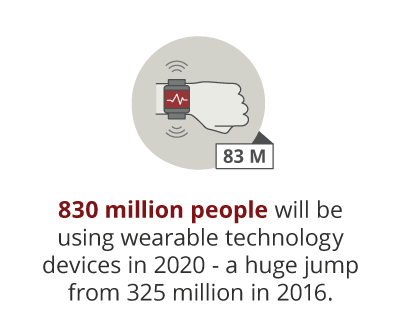 From heart-rate monitors to calorie counters to sleep trackers, these wearable technology devices create a large amount of data to be uploaded to your mobile device and computer. It’s possible you’ll soon be making this collection of data accessible to your doctor in order to receive the most appropriate treatment from a holistic perspective. This big data also holds the potential to prevent future ailments or illnesses by means of comparison. A data bank will allow all patients’ data to be compared to spot patterns that may be indicating a potential threat or outbreak. These devices may also form a part of telemedicine, which is the remote diagnosis and treatment of patients using telecommunications technology – something that could be proven essential, especially in rural or distant areas. 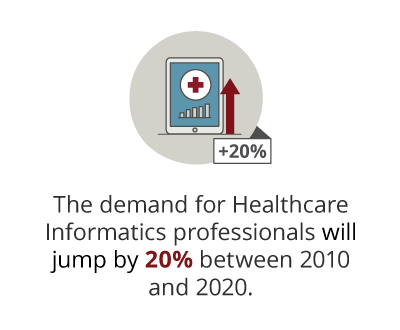 Healthcare informatics decreases diagnosis and treatment error by making data easily accessible at the time of prescription. Therefore, a medical practitioner is aware of a patient’s entire history before any decision is made. These routines become automated, which in turn saves the healthcare industry and patients costs, specifically those that would have come about when retaking tests. 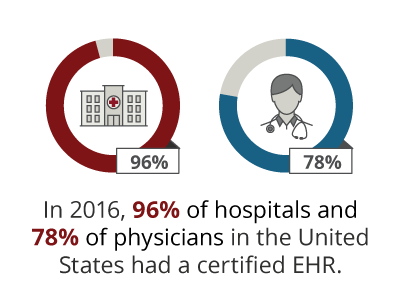 A number of professionals have celebrated healthcare informatics for the role it plays in reducing the chance of medical error, but with the amount of information being gathered about patients, the safety and protection of this data is a valid concern. Medical professionals appreciate the value that comes with EHRs, giving them easy access to ensure patient safety and maximize efficiency. However, what’s important is not everyone and anyone has access to this kind of information. Healthcare information technology has led to the formation of computerized decision support systems that can and has been proven to improve patient safety.14 Computers now have big data processing capacity being utilized to assist in safe clinical decision-making. In terms of data protection, the introduction of simple methods like requiring username and password entry has allowed for administrative and logical controls to be in place. Currently, regulatory processes such as the Health Information Technology for Economic and Clinical Health (HITECH) Act and the Health Insurance Portability and Accountability Act (HIPAA) allow for heavy penalization when it comes to electronic breaches.